Chloro Rubber is a single pack anti corrosive paint which contains Chlorine as reducing agent which eliminates corrosion of surface with a coating of rubber which is also chemical resistant. It is easy to apply by spray or brush. It quickly dries by evaporation to form a flexible layer on surface. Aluminium Paints are made up of polyester resin, leveling agent, pigment, filler and other such additives. These coatings have good mechanical properties and show good coverage. They have better UV resistance as compared to epoxy or epoxy – polyesters. Polyester powder coatings are commonly used for industrial finishing, office furniture, aluminium extrusions, air conditioner cabinets, automotive wheels and even lawn furniture. We excel in manufacturing and supplying a wide range of Chloro Rubber Paint. 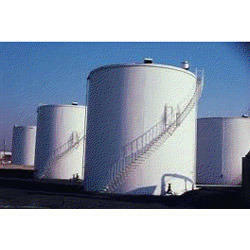 Demands of these paints are increasing day by day owing to its fast drying properties and high flexibility. Our paints are resistant against water, mild acids & alkali and ensure quick and fast drying. We also provide these paints in various attractive colors and shades as per the precise demands of clients. These are reasonably priced. 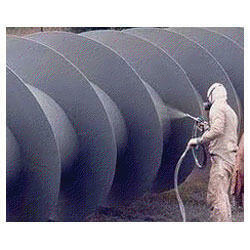 As anti corrosive coatings for Industrial steel structures, tanks, pipelines, sheet metal, components etc. Looking for Chloro Rubber Paint ?